Jack Turner returns to his hometown to seek revenge for being wrongly accused of murdering his adoptive father. However, upon his return, a motorcycle accident leaves him with total memory loss. Sara, who rescues him, becomes his saviour. She gives him a place to stay and is determined to help him discover the truth about his past, despite the hatred they face from the locals. Unbeknown to Jack, he too is helping Sara, by becoming the inspiration for her new novel. Together, they race against the clock, to solve the mystery before any more people fall victim to real killer at loose. Needless to say, romance does blossom for the two but it’s definitely a bumpy ride along the way. A dead silence followed her words. His eyes locked with hers, as if trying to search deep into them, and she held his intense gaze with a determination that only came from fear— from the awareness that losing this battle to him meant losing him, too. Every muscle in her body stilled. She almost forgot to breathe as the evening air grew with tension, only broken by the rhythmic chirping of the crickets. I’ll hold my hands up and admit when I was asked to review this book, the first thing I did was direct my eyes straight to the cover. It’s the first thing that attracts me to a book and I will say I was somewhat sceptical. However, this book has proven to me that I should never judge a book by its cover. 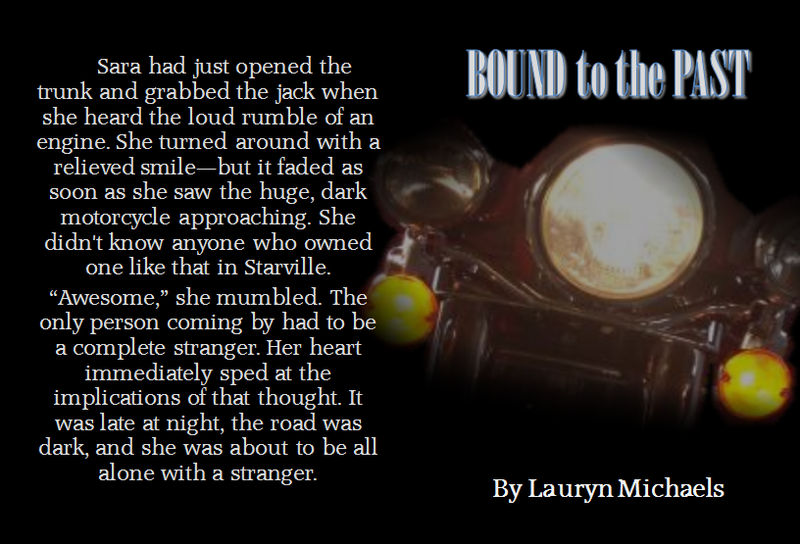 Lauryn Michaels definitely has a talent for weaving a web of suspense. I was eager to read on after the first chapter, and by chapter four, I was gripped. 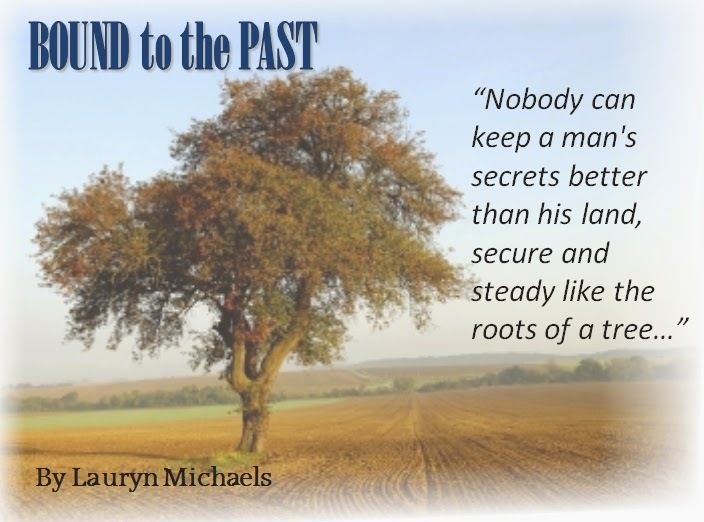 From then on in, I was lead on a path of mystery and uncertainty, changing my mind every two chapters as to my prediction of how the book would end. “You wonʼt. I trust you.” Something seemed to break inside his chest. Jack didnʼt know what, didnʼt know why. All he knew was that somehow those three simple words meant the world to him, and that hearing them from Sara seemed to mean even more. All of the characters depict what you would imagine a close knit community to be like, each believable, and I’m guessing, with their own hidden stories to tell in the future. Lauryn weaves the story together perfectly through twists and turns that even had me imagining the unlikeliest of characters to be the killer. For her debut novel, I think this is a brilliant piece of writing and Lauryn Michaels is an author to watch out for in the future. 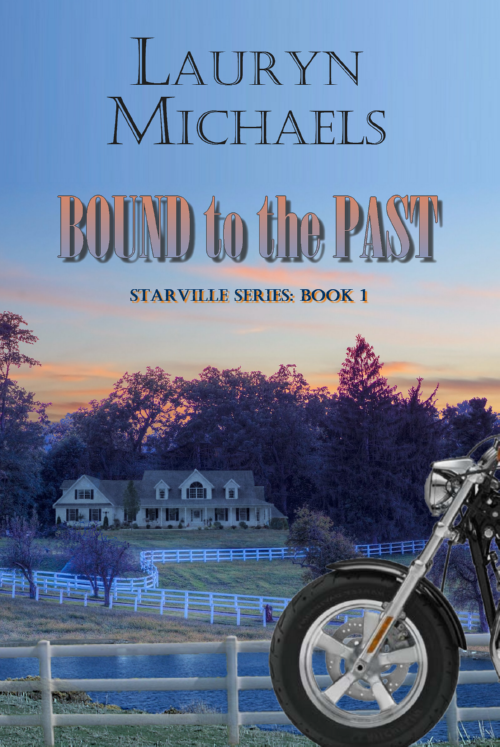 I really enjoyed reading it and I’m looking forward to reading the next two books she has planned for the Starville Series. If you’re looking for a book with an intricate storyline hidden behind the romance, a lead male to get the passion pumping and journey of second guessing… then this book is for you! I’m giving it a 4 star! In fact, what are you all still doing reading this review… Go read… Shoo… Enjoy!! Jac has done it again. 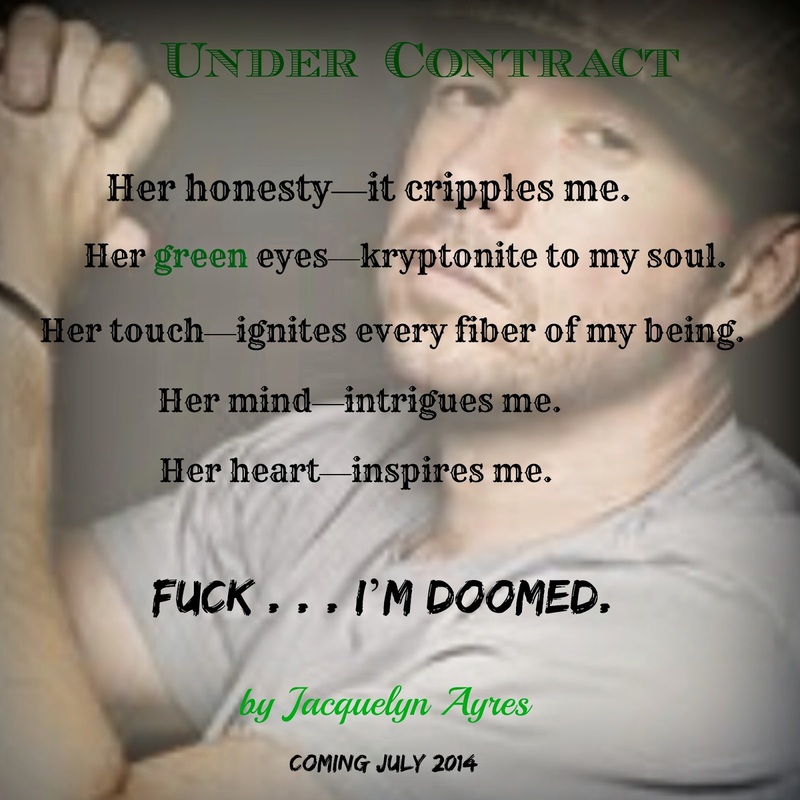 'Under Contract' is yet another amazing story that will have you laughing out loud, swooning and grabbing the ice. Stand aside Grayson, Ray and Kip; there's a new BBF in town and he goes by Mitchell (not Mitch) Colton. Meet Charlotte. Abandoned by her shithead of a husband with 3 kids and a mountain of bills, she will do whatever it takes to provide for the 3 most important people in her life. "Okay, Charley...put your big-girl pants on. You can do this." "I feel the need to remind you again that you will be at my beck and call. I also want to make it clear that it will never be more than this. I will never want more. I will never give more." "I don't do the marriage thing, I don't do the kid thing, and I certainly won't do the falling-in-love thing." Watching Mitch and Charlotte's relationship grow was brilliant, funny, hot and tear inducing. What these two characters have been through is just gut wrenching and it's about time they both find some happiness. And that happiness is in each other. No matter how fast and unexpected it was. "Why? Why have a fallen so quickly, so hard? I feel like I can't breathe. The thought of not feeling his touch, seeing his smile, taking in his scent...it's killing me. How did this happen?" "He is my one and only. The keeper of my heart, mind, and soul, and the source of my balance." Mitch had me intrigued right from the get go. I found myself wanting to crawl in his head to find out exactly who this enigmatic man was and why he kept himself so guarded. And then, when we do get in his head, I just wanted to stay there. Charlotte opens up Mitch's heart again and shows him how to be free; more relaxed. Her green eyes--Kryptonite to my soul. Her touch--ignites every fibre of my being. Not only will you fall in love with Mitch and Charlotte, but you will fall in love with the secondary characters as well. Charlotte's group of GEG's are just out of this world. Their '12 year old' type of banter with each other is absolutely hilarious and have you laughing you're arse off. I love Jac's ability to mix humour in to her books. It’s unique. Its fresh and bloody brilliant. You never fail to amaze me Jac, and I CANNOT wait to get me hands on the next books in this series and every book you release in the future.